Sorry for the lateness of this post. Yesterday (Saturday) was a pretty long day. I’m glad it was, definitely. It was just busy AF and I’m tired today. Which made me think of writing this blog post. I was trying to figure out how I can still make the most of today even though my eyes are rolling back into my skull. Then it hit me: I’m tired. And it’s Sunday. I don’t have to do anything. This is usually everyone’s chill day. 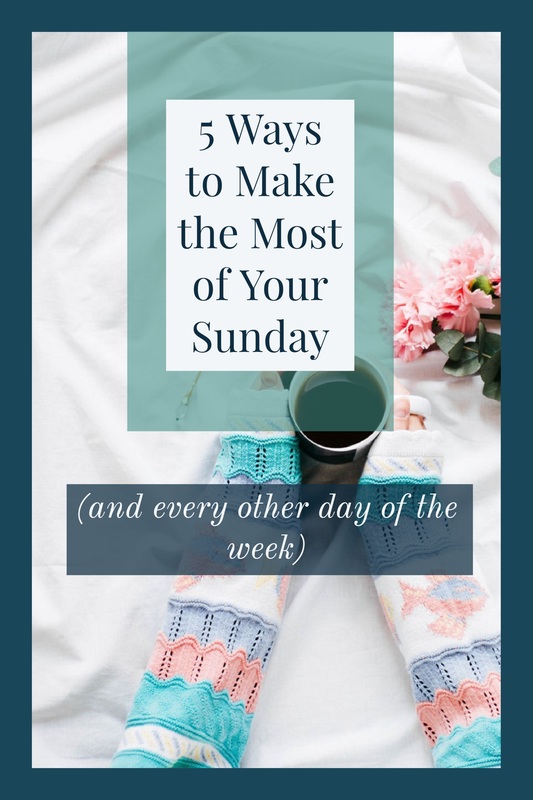 The week is for work, Saturdays are for running errands, and Sundays are for church and rest. So why do we feel this need to be productive even on the day when we’re not meant to produce anything? 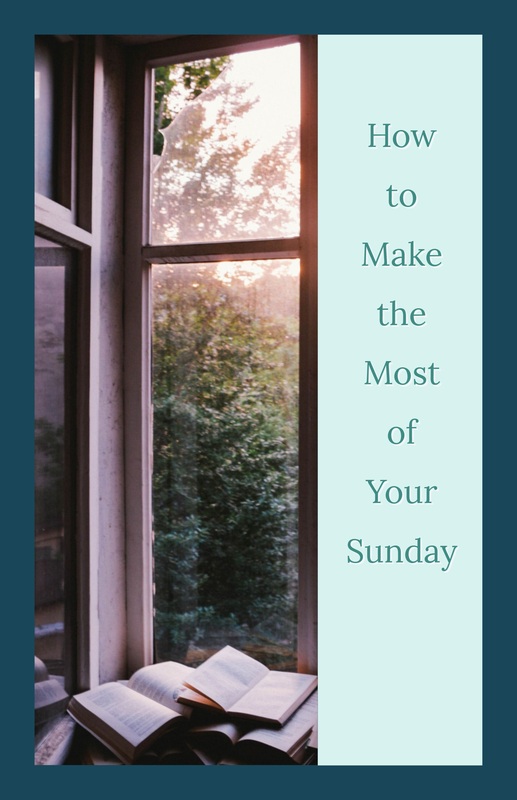 Well, I thought about it and, since this is Spiritual Sunday, decided I’d write a post about a few simple things you can do to make the most of your Sunday without taking away from your rest. In fact, if you do these things, you’ll most likely feel MORE rested. Take a few minutes in the morning to reflect what you’re grateful for in your life. Could be something as massive as a career promotion, could be something as small as the sweet-tart taste of apples. Me? I’m thankful for tea and almond milk. Shoot, look at tea… there are some many different kinds that you can get from a tea plant. Then you’ve got your tisanes, which are the fruity teas that don’t have any actual tea leaves in them, but you can soak them in hot water for flavor. Then, there’s the almond milk. How did we think to make milk out of a nut? (No inappropriate comments, please). It just amazes me. And I’m thankful for that there’s something other than dairy milk for me to sweeten my tea with. Sometimes, it’s the littlest things we overlook. A really nice breeze or a bird perching on a feeder. You’d be amazed how much happiness you can create for yourself when you take time to recognize these little things and be thankful that they exist. How can you do this? Well, meditation is a big one that I’m always talking about it. Take time to close your eyes and just think of little things that bring you even the slightest bit of pleasure, then thank the universe for them. But if that doesn’t work for you, you can always journal or make a list. Take 5 minutes to write this stuff down. Then take another minute to just look at it and reflect. This will help remind you of what you love in life, from the greatest to the smallest. And the more you recognize it, the more you’ll start to remember it in everyday life. Your brain will remember, “oh, yeah. It really like watching the breeze run through the leaves of trees”. And your life will start to look brighter. I love a sunny day, as I’m sure others do, too. But you know what else I love? The majesty of an overcast sky (especially over the ocean). And harsh, windy rainstorms, and blizzards. The way I see it, the weather is gonna be what it be. Can’t change it no matter how much I will it. So I can curse when it rains and takes me longer to get to work or I can learn to love the sound of the rain pattering on the windshield (and the sound of the wipers brushing it away). Acceptance is a path that leads to peace. When you accept things as they are instead of the way you want them to be, you might find that you don’t mind them. Might even like ‘em.Why rob yourself of that chance? So start with the weather. It’s probably the easiest thing because it’s pretty obvious you can’t change it from day to day and we’re all stuck with it. Easy enough to tell yourself to “let that sh*t go”. You might find yourself letting other things go, too. Other things you can’t change, situations you can’t change, people you can’t change. Your life will be so much more serene once you do these things. Get the muscles moving and the fresh air into your lungs. First of all, any kind of exercise, even mild, is good for your body (and weight loss, if that’s your goal). Taking 15-30 minutes to walk each day is enough to refresh your mind, get your blood moving, and bring your mood up. So you can’t change things or people outside of yourself. Did you know that sometimes it’s futile to try to change yourself, too? Ok, let’s break this down. How do you typically change something? You actively do something else to achieve a different result. But sometimes, being “active” isn’t the best way to inspire change. Sometimes, you have to learn to be in the moment and allow things to run their course. Like a the Chinese finger trap. Most people feel like if they pull hard enough, they’ll get their fingers free. It’s actually the opposite. You have to bring your fingers together and let the trap drop off. Sometimes, trying really hard isn’t the best approach. The path of least resistance might save you a lot of grief, long- and short-term. If you’re feeling not so great today, be ok with that. Tell yourself that’s ok and that’s where you are. Love yourself where you’re at. When you learn to love yourself unconditionally, you learn to love others unconditionally. This is one of my basic mottos in life. I don’t always succeed…I’m human. I get angry, I say things I don’t mean, I do things I regret…but you know what? Those moments are getting fewer and fewer now because I have made it my job to achieve THIS on a minimum every day. I don’t have to be Mother Teresa or Jesus… that’d be virtually impossible. For one thing, they’re both a lot older than I am. Two, they’re both dead. Three, they both had extraordinary qualities that made them stand out through history. Sure, I’d like to be like that, but not achieving those standards doesn’t make me a failure. Truth is, isn’t it preferable to be a compassionate person than a person who walks around hating his fellow man all the time? I can’t answer that for you, and maybe you’ll say something different, but it is to me. I’d prefer to be the former. Being more compassionate may be an outward struggle, but it’s very rewarding internally. The days when I feel love and compassion in my heart are so much better than the days that I am full to the brim with resentments. I feel better, the people around me catch on…the day just gets better for everyone. 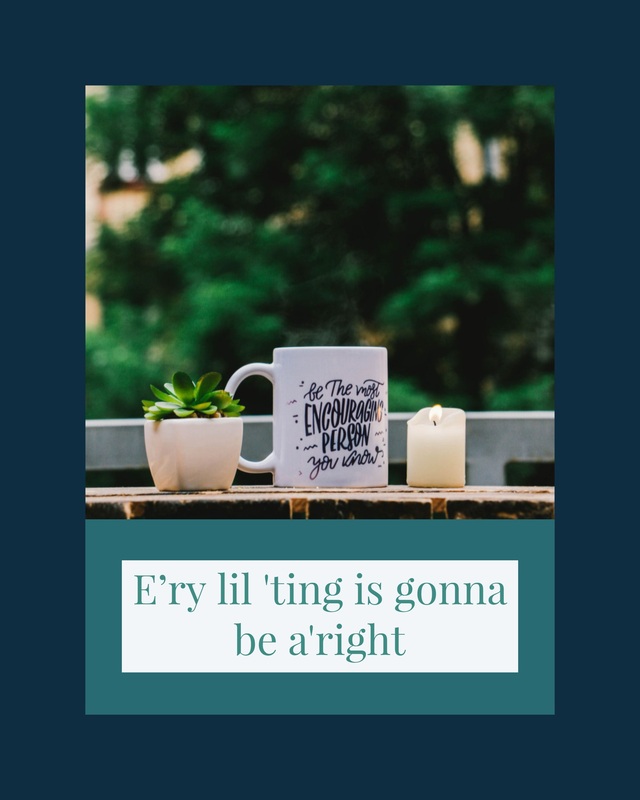 If you remember nothing else from this post, remember this: it’s ok not to be ok, and in the end everything will be ok. You are going to be ok. Even the serious things aren’t that serious; not in the grand scheme of things. Learn to laugh at yourself, learn to release the grip on things you’re having trouble holding onto. A guarantee you, your days will start to become fuller and more satisfying. Even if outwardly, nothing changes. So ask yourself: how can you make the most of your day?